Nikon has announced the upcoming launch of newest entry level, simple-to-use Nikon DX-format digital SLR camera – Nikon D3100, which the company claims as the world’s first DSLR that able to record full HD 1080p video with full time auto focus (AF). 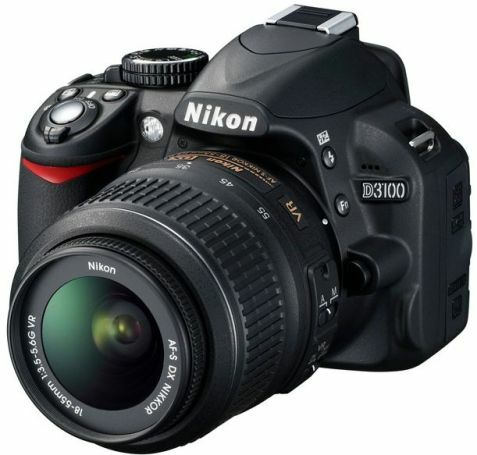 Nikon D3100 DSLR is featured with an improved Guide mode and a new powerful EXPEED 2 image-processing engine complemented with 14.2 megapixel DX-format CMOS sensor. The newest compact, lightweight Nikon D3100 DSLR camera which measures 124 X 96 X 74.5 mm and weights just 455 grams is expected to hit the market in coming September for around $700 (AF-S DX NIKKOR 18-55mm f/3.5-5.6G VR lens is included), while the AF-S DX NIKKOR 55-300mm f/4.5-5.6G ED VR lens will be available by September 2010 for approximately $400.